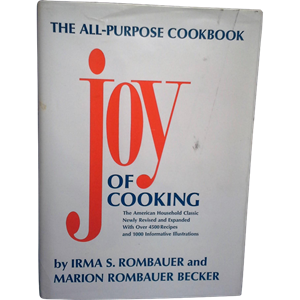 The title here is based on a book I remember in my mom’s kitchen: The Joy of Cooking. The cover of her book was worn, while the inside was dog eared and bookmarked with notes. I started reading my mom’s copy when I started working in a restaurant for spending money. In the days before TV channels dedicated to cooking, I learned quite a bit about cooking from this book and on-the-job training. The book is more than a collection of recipes. There is prose and personality inside. I have a copy in my kitchen now. 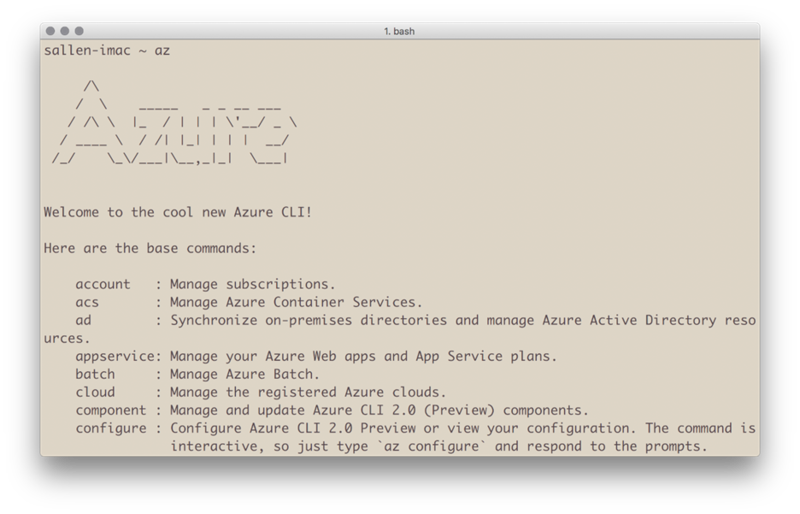 The new Azure CLI 2 is my favorite tool for Azure operations from the command line. The installation is simple and does have a dependency on Python. I look at the Python dependency as a good thing, since Python allows the CLI to work on macOS, WIndows, and Linux. You do not need to know anything about Python to use the CLI, although Python is a fun language to learn and use. I’ve done one course with Python and one day hope to do more. The operations you can perform with the CLI are easy to find, since the tool organizes operations into hierarchical groups and sub-groups. After installation, just type “az” to see the top-level commands (many of which are not in the picture). You can use the ubiquitous -h switch to find additional subgroups. For example, here are the commands available for the “az appservice web” group. For many scenarios, you can use the CLI instead of using the Azure portal. Let’s say you’ve just used a scaffolding tool to create an application with Node or .NET Core, and now you want to create a web site in Azure with the local code. First, we’d place the code into a local git repository. Now you use a combination of git and az commands to create an app service and push the application to Azure. We can then have the CLI launch a browser to view the new application. To shorten the above commands, use -n for the name switch, and -g for the resource group name. Very useful and nice post!! I really like the ubiquitous -h switch with az command. You have done a great demonstration in your latest pluralsight course "Developing with Node.js on Microsoft Azure".